Because you are inactive, for security reasons you will be logged out after . Urapi Sustainable Land Use Fund (Urapi SLF) will invest in community-based sustainable agroforestry projects in Latin America delivering private equity market-type return alongside significant positive impacts by addressing climate change and land degradation caused by migratory agriculture practices. The Fund has a targeted IRR of 12-18%, with an 8% preferred return. ECOTIERRA is an operator of community-based sustainable agroforestry projects and a leading impact fund manager. ECOTIERRA is the manager and operator of Urapi Sustainable Land Use Fund (Urapi SLF). With a targeted size of $50M Urapi SLF aims to tackle climate change and land degradation caused by migratory agriculture practices. Urapi Sustainable Land Use Fund will leverage ECOTIERRA’s unique investment model and expertise to generate returns for investors and significant social and environmental impact by investing in sustainable agroforestry projects in Latin America (Peru, Costa Rica, Colombia, and the Dominican Republic). Urapi SLF addresses two of the most challenging and underestimated problems of our time: deforestation and land degradation. Low yields, poor quality crops, lack of financial and technical capacity are the main elements that lead the small farmers into a cycle of unsustainable land use practices. Urapi SLF proposes to investors an impact investments model that allows small producers to restore their deforested and underperforming land into fair-trade, organic certified parcels i.e. sustainable land use model that increase yields and improve quality of their products, leading to higher incomes and better livelihood. Urapi SLF integrated investment approach includes developing a sustainable economic model in partnership with local cooperatives of small farmers. Using an innovative bottom-up social engineering approach, ECOTIERRA selects among the best farmers of each coop to help transition the land use towards sustainable agroforestry practices by building on their own individual capacity. *Capital raised figures include amounts raised both on and off platform. c) Equity investments necessary to structure the carbon project that will generate high quality carbon credits monetizing social and environmental impacts. Through its work in the past decades, ECOTIERRRA’s team has developed a qualified pipeline of potential projects as a result of their strong ties with local organizations of farmers in Latin America and recognition as a trusted business party. Urapi SLF is prioritizing the following countries: Peru, Costa Rica, Colombia, and the Dominican Republic to implement sustainable agroforestry projects. The following table summarizes the main terms and conditions of the Fund. For a more detailed offering, investors should read all associated documentation including the investor package and associated securities agreements before considering or making any investment. A Confidential Limited Partnership Agreement and Subscription Agreement are available for interested investors who are able to complete the associated NDA. Please contact us via email at info@svx.ca or fill in the Ask a Question box for more information. Fund Size: The targeted Fund size is US$ 50M – Urapi SLF is denominated in USD. Minimum Subscription: For ease of management, minimum investor subscription has been set at $ 1M, but the General Partner could use is discretion right to accept lower commitment. Investment Period: The manager will select and develop all projects within the first 4 years. Duration: In order to take advantage of the full potential of nature and each investment instruments, Urapi SLF has a total duration of 15 years with up to two one-year extensions. Preferred return: After year two, Urapi SLF will generate an 8% preferred return distributed yearly to all investors. Management fees: A management fee equivalent of 2% on Committed Capital during the Investment Period and 1.5% of net Invested Capital thereafter will be charged to Urapi SLF. Urapi SLF’s unique business model empowers communities of small farmers to become actors of change to halt land degradation and to mitigate climate change. Using a bottom-up approach, ECOTIERRA is working directly with cooperatives, farmers and investors to aggregate the efforts of hundreds of small farmers. By strengthening and professionalizing the value chain and financing sustainable land restoration and productive agroforestry, Urapi SLF will complement the cooperative’s work and will break the vicious circle that leads to land degradation, value-chain fragilization, climate change and social problems. A 50M$ pool of capital will help change the life of 32,000 families and generate significant regional social, economic and environmental impacts. It takes the equivalent of 5 million cars off the road and protects an area equivalent to 16 times the size of the Island of Montreal from being deforested. ECOTIERRA is able to track and audit these impacts as all data are gathered under MINKA, ECOTIERRA’s proprietary software solution. The following table summarizes the key impact indicators targets. This type of investment has substantial risk. Investors should make an investment only if they are prepared not to receive any return on their investment and to lose their investment in its entirety. Liquidity risks: This investment is illiquid given that the financing arrangements for the invested capital are going out in the form of units of the Fund. Units are issued based on capital calls made to Limited Partners. Ownership in the Fund’s assets are maintained until distributions of capital are made to the Limited Partners. Investors could not expect to access their investment before the end of the proposed term of investment i.e. until termination of the Fund in 15-year horizon or before if distributions are made because of a distribution event. Underlying asset risk: This investment relies on the performance of a set of underlying assets: microloans to co-ops for land use transition and infrastructures and carbon protocol structure for each project. There is a risk that these projects may fail. To mitigate risk, ECOTIERRA has targeted co-op of farmers which are fair trade certified with existing infrastructures and clear governance structures. For each project, only farmers with best yield and performance will be selected. Moreover, micro loans made to the co-op are secured by revenues generated by commodity sales, co-op underlying infrastructure assets, and carbon emission certificate assets which could cover up to 1.5 times the over value of the assets. Political risks: Most projects developed by ECOTIERRA are located in developing countries such as Peru, Colombia, Costa Rica, and Dominican Republic where political, social and economic instability is a risk and could reduce expected returns from underlying assets of related projects. Business risks: Urapi Sustainable Land Use Fund is a first-time fund for ECOTIERRA with no fund management operating history. There is a risk that they will not be able to achieve their business objectives, including their revenue and investment targets. The costs of operating an investment platform and associated regulatory requirements are significant. ECOTIERRA has recently secured $800,000 in start-up financing to build and maintain their operations as well as recruit more experienced staff. The Fund’s business and financial revenue model have been tested through several projects designed and operated by ECOTIERRA. Etienne is a serial social entrepreneur. His 20 years experience in development of cooperatives, social finance, commercialization and marketing of agroforestry products coupled with his knowledge of organic agriculture and certifications became the foundation on which many successful cooperatives were built in Peru. 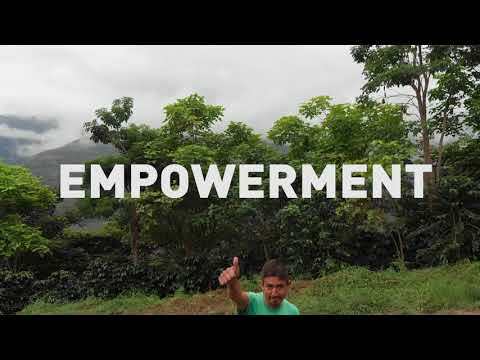 As co-founder of Pro-A, a Peruvian organization, Étienne created and supported the development of leading cooperatives such as Coop Juan Marco El Palto, exporting over 900 tons of fair trade organic coffee per year, worth 4 millions USD . He also had the opportunity to identify and address issues affecting small farmers with whom he worked on the field. Altogether, these experiences helped him drew ECOTIERRA’s blueprint and create this one of a kind company in 2010. Etienne is fluent in French, Spanish and English. He holds a certificate in administration from l'Université du Québec à Montréal as well as Organic agriculture from the CEGEP de Victoriaville. Etienne is part of rare breed of individuals that is as comfortable dealing with local farmers as he is with head of industries. Karina is passionate about social development and education. She has 15 years of experience in the development of educational programs in rural Peru, making her an invaluable asset in the development of community based programs. Over the years, she colead the creation of 4 cooperatives, participating actively in the development of these organizations. Through the creation and operation of training and support programs aimed at empowering and building capacity, she has ensured the integration of the several stakeholders with different cultural backgrounds. to their daily reality and therefore brings a strong capacity to understand cultural dimension in the building up of our projects models based on win-win solution. Karina holds a M.A. in School and Social Adaptation from the Université de Sherbrooke. Andrés is an environmental finance specialist. He has 15 years of experience in the financial, economic and impact analysis of projects as investor, investee and advisor. He has participated in abroad spectrum of activities - from sourcing, investing and management of projects to preparing key impact indicators and metrics to measure social, environmental, and financial performance of projects. As Investment Director of Bosques Amazónicos (BAM), he led the fund-raising activities and structured several financial transactions to raise over US$15 million for a reforestation project in Ucayali, Peru and a community-based Reduced Emissions from Deforestation and Degradation (REDD+) project in Madre de Dios, Peru. Previously he worked for a London-based private equity firm, SFM Ltd, specializing in land management and environmental investments. At SFM he led the investment process of successful transactions in Latin America such as a US$ 8.1 million debt and equity investment in a sustainable timber business. Andres has also worked for the World Bank and the Inter-American Development Bank in Washington, DC. Andres holds a M.A. in International Relations with a specialization in International Finance from the Johns Hopkins School of Advanced International Studies (SAIS) in Washington, DC and a B.A. in Economics from Universidad del Pacífico, in Lima, Peru. *Capital raised figures include amounts raised both on and off platform. Amounts raised off platform or committed have not been independently verified by SVX. Investing in crowdfunding and exempt market offerings has significant risk. Investors may not be able to resell quickly or at all an exempt market security and may also receive limited ongoing issuer information. You should invest only if you are prepared not to receive any return on your investment and/or lose your investment in its entirety. Please read the relevant legal documents as seen in the footer above and visit our Frequently Asked Questions (FAQs) for more information. Copyright © 2019 SVX, INC.. All rights reserved.